"A healthy, easy, and satisfying smoothie for those who enjoy grapefruit or are looking for a drink that is lower in sugar and calories. This is loaded with taste and is good for you!" 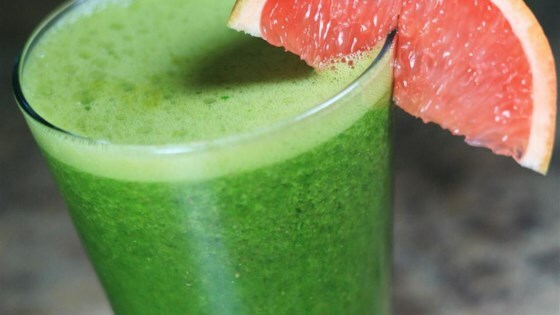 Blend grapefruit, water, spinach, ice cubes, ginger, and flax seeds in a blender or NutriBullet(R) until smooth. This shake was a big disappointment.